some new G Suite products and features to help your organization collaborate more effectively and efficiently. As part of that announcement, we introduced Hangouts Chat as a core service. Below are some admin-specific details about Hangouts Chat to help you get started. The Hangouts Chat service will launch default on, unless you’ve chosen to manually opt in to new services. To start using Hangouts Chat on the web, go to https://chat.google.com. To download the app on your desktop or mobile device, go to https://get.google.com/chat. If you currently have forced chat history off, you will need to actively enable Hangouts Chat in your Admin console regardless of your setting for opting in to new services. This is because “room” conversations in Chat always retain Chat history, regardless of your settings, so it's important that you understand this before enabling the service. 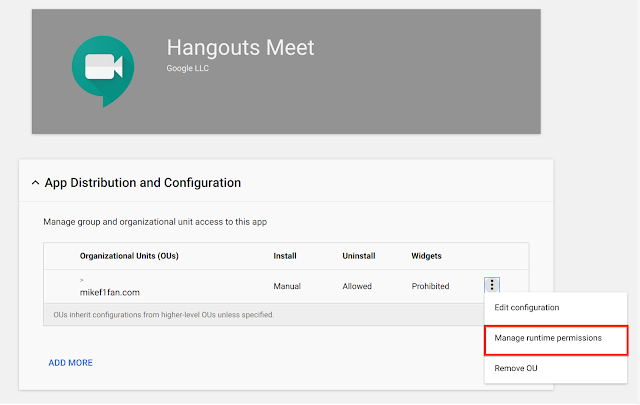 If both classic Hangouts and the new Hangouts Chat are enabled for an organizational unit (OU), the classic Hangouts history on or off settings are used in chats in which participants use a mix of classic and new Chat. If the history settings are different for chat participants of different OUs, the chat conversation can’t be created. Please review your chat history settings for both products (more info). If your domain participated in the Hangouts Chat Early Adopter Program, your settings will be retained. These settings will be accessible at Apps > G Suite > Hangouts Chat in the Admin console. Hangouts Chat is compatible with the classic version of Hangouts, and you’ll still be able to use classic Hangouts—making sure you don’t miss a message from anyone in your organization. All one-to-one direct messages will forward both ways between Hangouts Chat and classic Hangouts by default. Additionally, if you require Vault support for use of Hangouts Chat, please see our post for details on that launch. If you have any further questions, check out the get started guide or visit the Help Center. We just announced some new G Suite products and features to help your organization collaborate more effectively and efficiently. As part of that announcement, we introduced Hangouts Chat as a core service. Below are some admin-specific details about Hangouts Chat to help you get started. some new G Suite products and features to help your organization collaborate more effectively and efficiently. As part of that announcement, we introduced Google Vault support for Hangouts Chat. Below are some admin-specific details to help you get started. 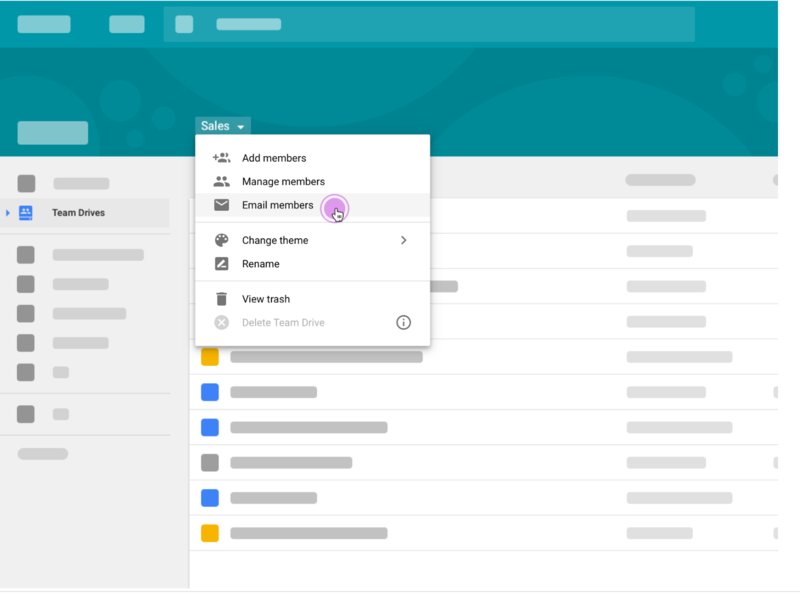 The newly launched Hangouts Chat is an intelligent and secure tool that makes team collaboration easy. An enterprise-ready solution, Hangouts Chat gives G Suite admins the governance controls they need to manage and secure their organization’s data, including full support in Google Vault—a tool that can help with their eDiscovery and compliance needs. 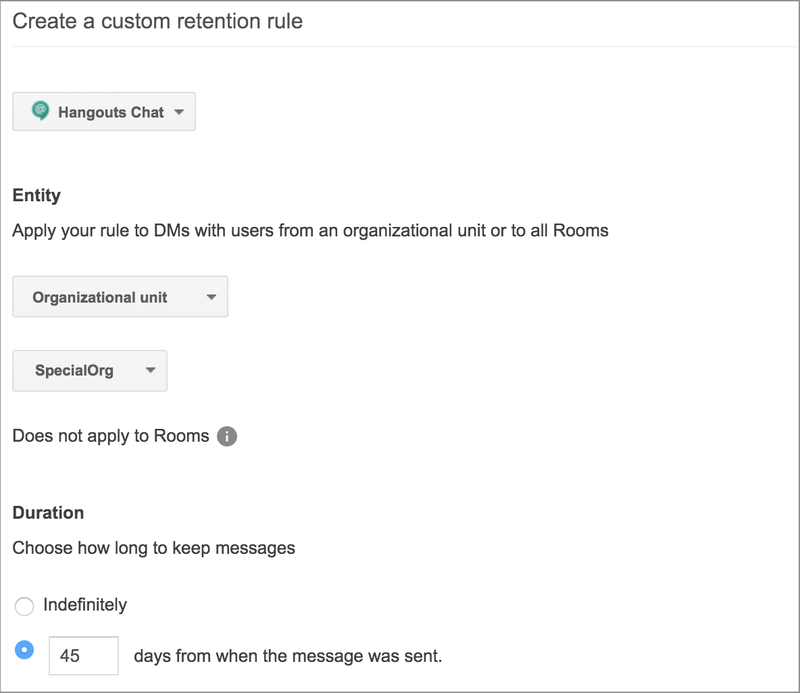 As a G Suite admin, you can now set retention policies that apply to all Hangouts Chat messages, including those sent directly and those sent in rooms. You can set a default rule that applies to all users in your domain. This can be an indefinite retention policy (such that messages are never expunged), or one that expunges messages at the end of a specific time period. The default rule applies to all direct messages and rooms in your domain. 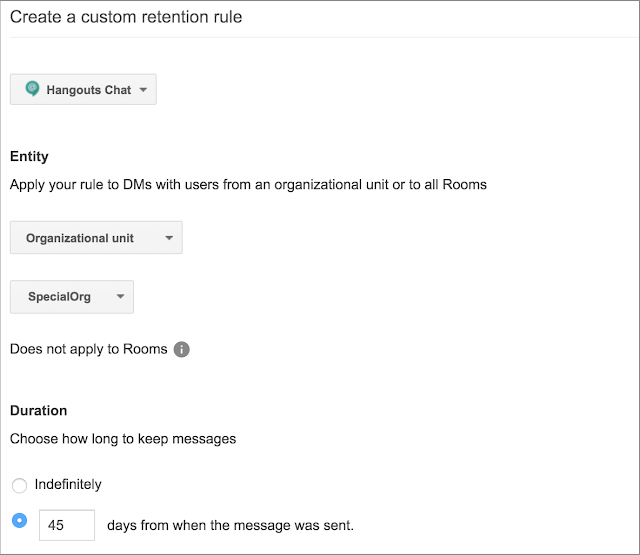 You can also set custom retention rules for specific organizational units (OUs), which apply to direct messages only, and/or for all rooms, which apply to room conversations only. This allows you to manage the lifecycle of direct and room messages separately. Custom rules override the default rule and, if multiple custom rules apply to a message, the rule with the longest retention coverage period takes precedence. In addition to setting retention policies, you can now place legal holds on your employees' Hangouts Chat conversations, whether they take place via direct message or in rooms. Doing so will preserve room conversations in which a held user is a participant (i.e. they’ve sent a message) and direct messages in which a held user is a member (i.e. they’ve sent or received a message), regardless of whether that user deletes those messages. If a user on hold deletes a message, it will appear deleted to them—but it will be available in Vault until the hold is removed. Remember that holds always take precedence over retention rules. Finally, you can now search, preview, and export your employees’ Hangouts Chat messages. This enables you to apply the same eDiscovery programs you use for other G Suite services (like Gmail and Drive) to content stored in Hangouts Chat direct messages and rooms. To learn more about how Vault's support for Hangouts Chat can help your organization meet its legal obligations and archiving needs, check out the Vault Help Center. We just announced some new G Suite products and features to help your organization collaborate more effectively and efficiently. As part of that announcement, we introduced Google Vault support for Hangouts Chat. Below are some admin-specific details to help you get started. some new G Suite products and features to help your organization collaborate more effectively and efficiently. As part of that announcement, we introduced automatic room suggestions in Google Calendar, which will be launching to all G Suite editions in the coming months. Below are some admin-specific details about automatic room suggestions to help you get started. This tool will automatically suggest rooms optimized for each attendee based on their building and floor location, previous booking history, audio/video equipment needs and room capacity requirements. To unlock this feature, admins will have to add detailed meeting room information into Calendar. 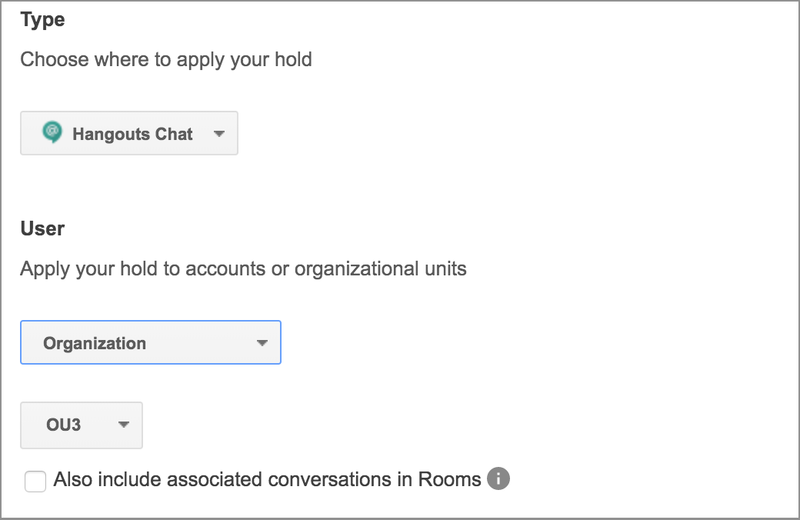 G Suite administrators can use this resource to learn more about inputting their organization’s room information into Calendar. Closer to the launch, there will be more information on how to enable this feature, such as adding main user work locations to user profiles. Keep an eye on the G Suite Updates blog for more information. We just announced some new G Suite products and features to help your organization collaborate more effectively and efficiently. 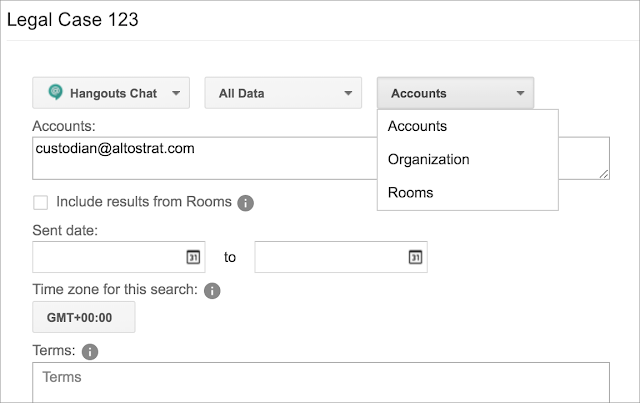 As part of that announcement, we introduced automatic room suggestions in Google Calendar, which will be launching to all G Suite editions in the coming months. Below are some admin-specific details about automatic room suggestions to help you get started. some new G Suite products and features to help your organization collaborate more effectively and efficiently. As part of that announcement, we introduced Quick Access for Google Docs. Below are some admin-specific details about Quick Access for Docs to help you get started. Please note that Quick Access for Docs is only available in domains with Google Cloud Search enabled. For more information on turning Cloud Search on or off for you users, visit the Help Center. We just announced some new G Suite products and features to help your organization collaborate more effectively and efficiently. 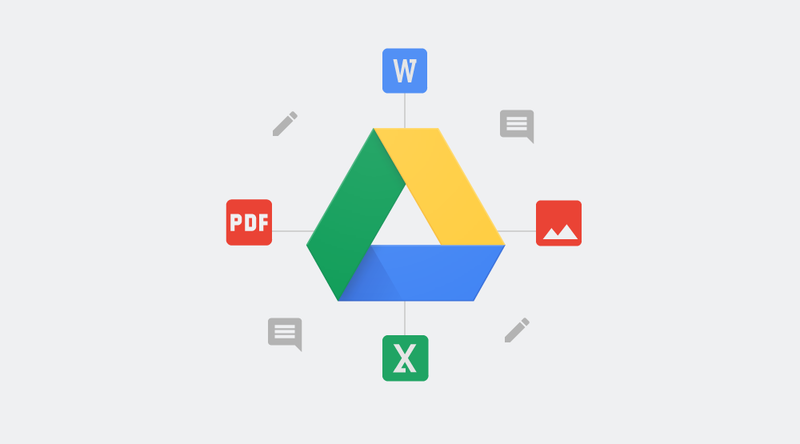 As part of that announcement, we introduced Quick Access for Google Docs. Below are some admin-specific details about Quick Access for Docs to help you get started. As we announced earlier this month, we’ve added Autodraw to Jamboard. AutoDraw is a new drawing tool in Jamboard that auto-detects sketches you make and pairs them with images. This gives teams the ability to make their ideas even more visual—whether you’re a creative designer working with clients or even a teacher working with students. To ensure that Jams get assigned to the correct owner, we’re adding an email confirmation step to claim an unclaimed Jam. Once an admin has enabled this option, when working with an unclaimed Jam, users will need to confirm ownership via email before they are added as an owner. Users can enter multiple in-domain email addresses to confirm ownership, directly from the Jam. Those user(s) will receive an email asking if they’d like to claim the document and the first user to confirm becomes the owner. This feature prevents sharing of content before an owner is assigned. Admins can configure this setting (which is off by default) for the domain in the Jamboard Admin console. Whenever you change a frame on your Jamboard device, we now will show a distinct frame-change animation along with the page number. Users can connect a USB camera and select which camera feed they want to use (either USB camera or internal camera) in the settings panel of the Jamboard kiosk. Users can attach external speakers to the board via S/PDIF (a rear port on the back of the device for optical audio). For a full list of new features and improvements from this month’s release, check out the What’s New in Jamboard page in the Help Center. As we continue to add new features to the overall Jamboard experience, the latest Jamboard release brings several new features―to both devices and the Jamboard app―to help people more easily and efficiently get their ideas out. We’re also adding a new feature to help admins to manage the ownership of Jams within their domain. For more details on these features and how to use them, see below. End users can now pause Drive File Stream syncing. While paused, Drive File Stream will not upload local changes to Google Drive, and new versions of files made available offline will not download. To pause syncing, open the Drive File Stream menu and click More > Pause Syncing. Admins can now customize the content cache location for Drive File Stream to any directory on a connected APFS, HFS+, or NTFS file system. For details, see our Help Center on how to configure Drive File Stream. Admins can now limit the bandwidth of Drive File Stream for uploads and downloads. In a previous release, we added a feature that allows Admins to customize the default letter drive on Windows, the mount point on macOS, and proxy settings. These configurations can be set at the user or host-wide level, and persist when Drive File Stream restarts. and in January and will make it easier to find certain items. In the Edit menu, “Select none” will be removed. Items in the File, Edit, and Tools menus will be reordered. Items in the Data menu will be reordered. Items in the Format menu will be reordered. Based on usage data and your feedback, we’re making some changes to the menus in the web versions of the Google Docs editors. These are similar to the changes we made in December and in January and will make it easier to find certain items. ”). Note that this feature is only available for apps running in work profiles or on company-owned devices. 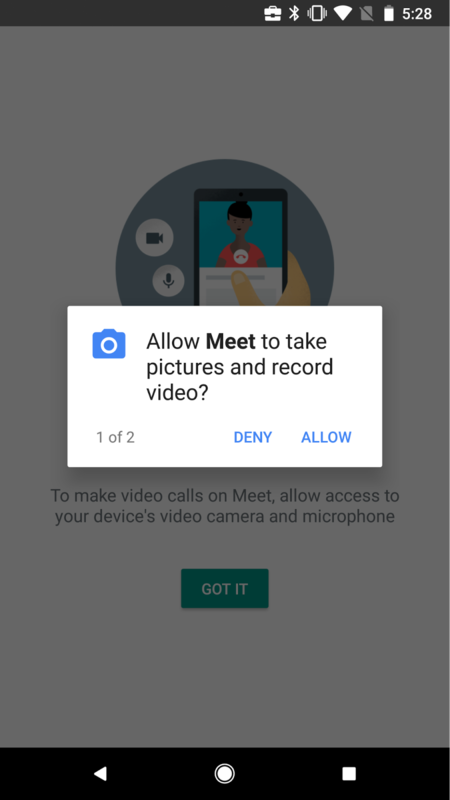 Generally, an app requests permission at runtime when it’s attempting to access sensitive data, like a user’s location, contacts, calendar, microphone, or storage. These permissions have to be explicitly granted by the user at that moment, and not just when the app is installed. See below for an example. To help you better manage runtime permissions for Android apps*, we’re introducing two new settings in the Admin console for customers using Google Mobile Management. 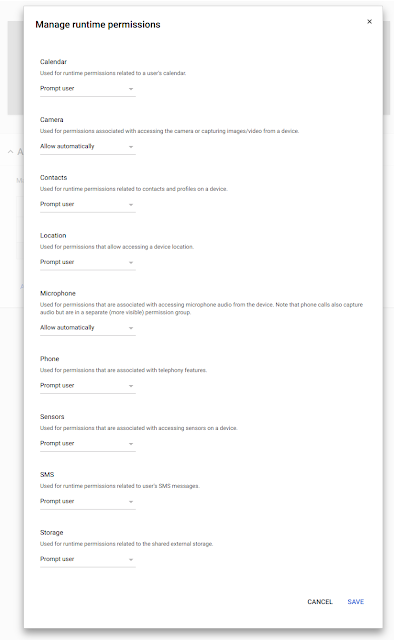 The first will give G Suite admins three options for management of all runtime permissions on all Android apps: (1) allow runtime permissions automatically, (2) deny runtime permissions automatically, or (3) prompt the end user to choose whether to grant runtime permissions. The last setting is the default; it can be changed in the Admin console under Device Management > Android Settings > Apps and Data Sharing. The second setting can be found under the App Distribution and Configuration options provided when an Android app is whitelisted. This setting will allow admins to manage runtime permissions for that specific app. For example, an admin can forbid the app to access the device’s location or contacts. Where there are conflicts, this setting will take priority over the app-wide setting mentioned above. *IMPORTANT: Android apps will only request permissions at runtime if the device is running Android 6.0 (Marshmallow) or higher and the app itself targets API level 23 or higher. The second setting mentioned above will be greyed out in Admin console if the app doesn’t target API23+. If you’re unsure of whether an app will request runtime permissions, we recommend contacting the app developer. We know that to best protect your organizations and better serve your employees, you need increased control over the applications running on their mobile devices. With this launch, we’re doing just that. 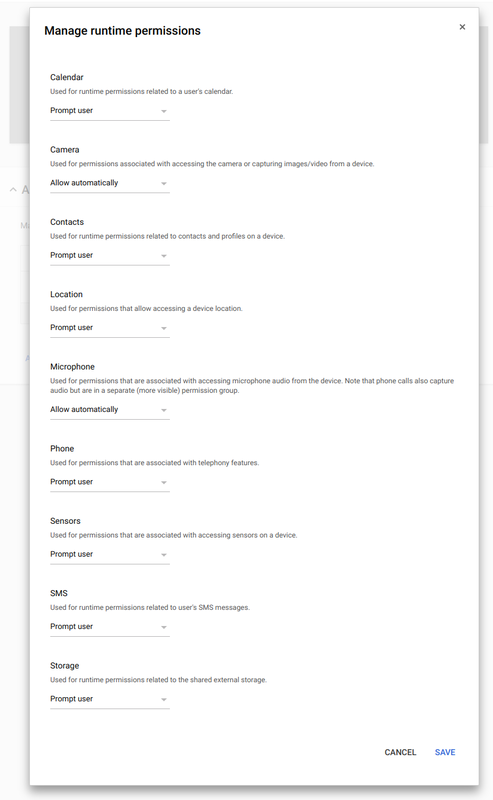 Going forward, G Suite admins can manage permissions that Android apps request at runtime, as opposed to at installation time (also known as “runtime permissions”). Note that this feature is only available for apps running in work profiles or on company-owned devices. Of course, you can also convert Microsoft Office files into Docs, Sheets or Slides. In Google Drive, right click on an Office file and click Open with and then select Docs (or Sheets or Slides). Lastly, you can choose to edit Microsoft files without converting them fully using Office Compatibility Mode (OCM). Users with “Can view” access to MS Office files will start seeing any comments added after the launch of this change, but they will not be able to reply to those comments or create new comments. MS Office files with comments added before this change (i.e. using the Google Drive API, or from an older version of this feature) will not be affected. Comments, actions items and suggested edits in Google Docs, Sheets, Slides and Drawings files will continue to remain invisible to users with “Can view” access. Draw a rectangle on a PDF, or PowerPoint (.pptx), or image file and make an anchored comment. Select a sentence in a MS Office Word (.docx), or PowerPoint (.pptx), or PDF file and make an anchored comment (similar to comments in Google Docs). Select a cell in MS Office Excel (.xlsx) file and make a cell-based comment. This new feature also supports importing and exporting comments to the underlying file for certain OOXML file formats such as MS Office file formats(.docx, .xlsx, .pptx) and PDF files. This means that existing comments available in those file formats will be imported and displayed in Drive Preview. Additionally, comments made in Drive Preview will be exported to the underlying file so that when you open up the file using the local client application, you will be able to see the comments made in Drive Preview. *On web, we’ll roll out these features to Rapid Release domains over the course of three weeks. Two weeks after we complete the rollout to Rapid Release, we’ll begin the rollout to Scheduled Release. We anticipate it will take up to three weeks after that point to roll out to 100% of Scheduled Release domains. We’re working closely with customers and industry experts to shape the role of technology in meetings, and we want to make it easy for teams to work together face-to-face, anytime, anywhere. A big part of getting this right is working closely with IT, AV and facilities leaders to understand how we can solve some of their challenges which is why this week, we’re at the Integrated Systems Europe (ISE) conference in Amsterdam to learn from AV and systems integration experts about how we can help them make meetings easier. 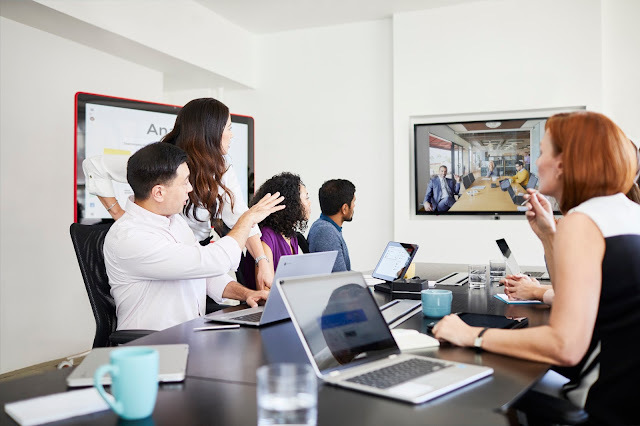 Businesses in North America and the UK are using Jamboard to collaborate, and now teams in Europe can jam together, too. Next month, Jamboard will be available for purchase in eight additional countries: Republic of Ireland, The Netherlands, Denmark, Sweden, Norway, France, Spain and Finland. Along with expanding Jamboard to new markets, we’re also adding an AI-powered feature called AutoDraw. AutoDraw is a new drawing tool in Jamboard that auto-detects sketches you make and pairs them with images. This gives teams the ability to make their ideas even more visual—whether you’re a creative designer working with clients or even a teacher working with students. We also recently welcomed the Jamboard app as a core service in G Suite. For everything else Jamboard, check out google.com/jamboard. Fast video meetings are the most effective when they’re available everywhere. Today, we’re also expanding Hangouts Meet hardware—our latest meeting solution—to two additional countries: the Netherlands and Denmark, bringing the total to 14 countries. A new Hangouts Meet room kit that comes with a Logitech PTZ Pro 2 and accommodates up to 20 people. The camera can capture details with 10x optical zoom, and you can pan and tilt to focus on participants. A standalone Meet speakermic to keep audio quality crisp in bigger rooms. Custom designed and built by Google, the speakermic intelligently reduces echoes and manages background noise. It’s easy to daisy chain up to 5 speakermics together to bring great quality audio to every corner of a room. To learn more about Hangouts Meet hardware, check out our website or reach out to your Google Cloud representative or your reseller. And if you’re attending ISE, stop by our booth at B200 in Hall 15. Help Center: Where are Chrome devices for meetings sold and supported? Update (March 28, 2018): Jamboard is now available for purchase in eight additional countries: Republic of Ireland, The Netherlands, Denmark, Sweden, Norway, France, Spain and Finland. Check out the latest "What's New in G Suite" launch recap [pdf] for a roundup of all G Suite launches from January 2018.